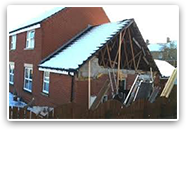 Your insurance policy probably covers roof leaks, but how is the Damages assessed, more importantly what is included in the repair? Not all policies are the same Contact TAG today! Research shows that five of the top ten insurance claims are plumbing related. If not handled water properly, the claim and your recovery can be severely impacted. Some insurance companies do not cover any Damages resulting from plumbing leaks over 14 days. Get a Free Quote today! Many thousands of dollars in hurricane Damages is often missed when your insurance company is left to assess Damages and pay you for those Damages. If you had hurricane Damages claim less than 3 years ago AND you were either denied or under-paid, it is not too late to get your insurance company to pay! Let TAG help! The typical fire policy contains hundreds of provisions and stipulations – various forms and riders that are constantly changing and many complex details about your requirements in case of loss. 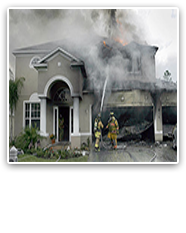 Most people do not know or understand these policy provisions – and most do not realize that the burden of proof is on them, the policyholder.Your itemized insurance claim should include all items DAMAGESd during a fire, but determining what was DAMAGESd from the fire indirectly by smoke or water can be confusing. TAG can assist you. Unlike most other causes of property Damages, flood is not an included peril in standard property insurance policies. The National Flood Insurance Program (NFIP) requires you to submit you Proof of Loss Form within 60 days of the flood which must comply with federal rules and regulations. Contact TAG today! Most property insurance policies do not extend coverage on a vacant property for more than 30 days. Let TAG help! Some insurance policies have mold exclusions—they specifically do not cover any remediation of mold Damages. These policies will not cover mold that arises from poor maintenance, water leaks, failure to adequately ventilate rooms or excessive humidity that the homeowner could have addressed with fans or dehumidifiers. Call TAG now! Under some policies, insurance is provided against direct loss caused by “collapse” without definition of that term by qualification or exclusion. On the other hand, some policies not only insure against loss caused by “collapse,” but also define that term, at least to a certain extent, by containing specific exclusions from coverage under the clause. TAG can assist you. Your property insurance policy may not cover sinkholes. The law defines sinkhole Damages differently from catastrophic ground cover collapse. Get a Free quote!